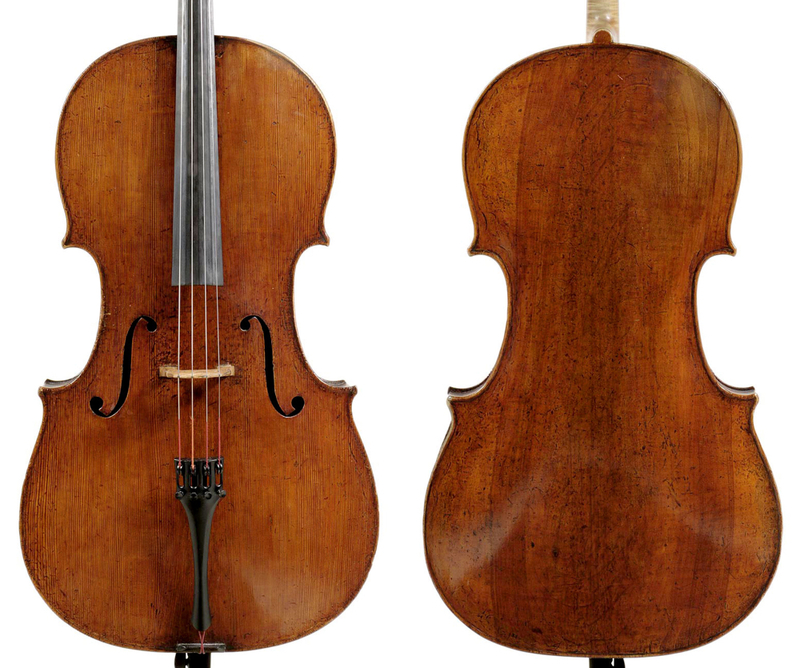 When a cello built on the ‘forma B piccola’ model fell into the hands of John Lott, the result was two ‘Stradivari’ cellos – one of which is known today as the ‘Vaslin Composite’. How does it compare with other late Stradivari instruments? Among the various artifacts in Cremona’s Museo Stradivariano are the original paper patterns for the f-holes of a cello bearing the description ‘forma B piccola’. 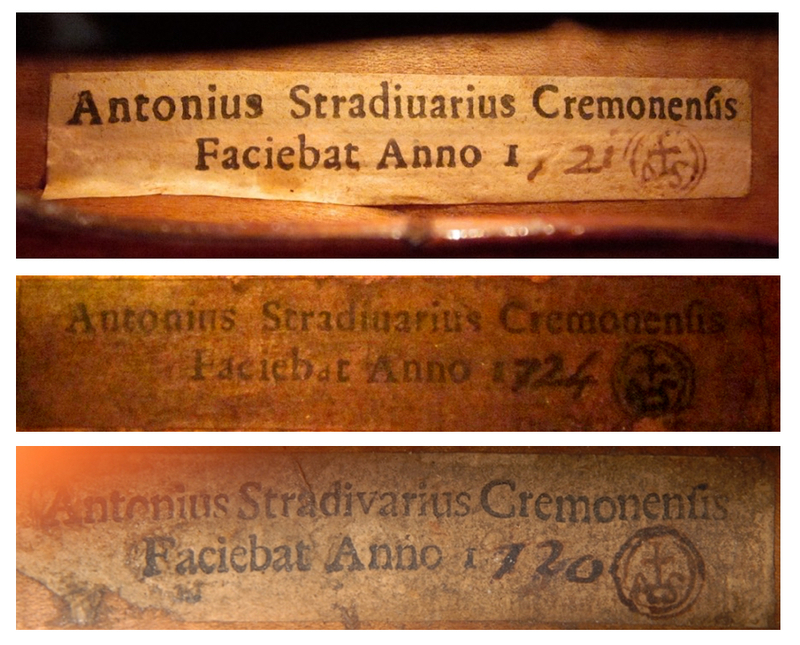 The handwriting on these patterns has been attributed to Francesco Stradivari  and, according to the 1999 reprint of the Ernest Doring publication How Many Strads, there are currently seven known examples of this ‘forma B piccola’ type: the 1731 ‘Braga’, c. 1727 ‘Chester-Ward’, c. 1730 ‘De Munck’, c. 1731 ‘Fujiwara’, c. 1730 ‘Pawle, Ben Venuto’, and two composite instruments, the ‘Scholz, Golterman’ and ‘Vaslin Composite’, both dated c. 1730. These, as we shall see, were originally one complete Stradivari cello. Regarding the ‘Vaslin Composite’ the following history is known from Doring: ‘According to a letter from Albert Caressa, J.B. Vuillaume acquired the cello from Luigi Tarisio and sold it to Professor Vaslin.’  Olive-Charlier Vaslin (1794–1889) was a French cellist who taught at the Paris Conservatoire and also owned a second Stradivari cello made in 1725, known as the ‘Vaslin’. As the name implies, the ‘Vaslin Composite’ is not wholly original. The top was made by John Lott while the back, ribs and scroll are by Stradivari. The original Stradivari top is now on the ‘Scholz, Goltermann’ Stradivari, the rest of which was made by John Lott; it is named after its previous owner Hungarian cellist Janos Scholz and its current owner Frank Goltermann. 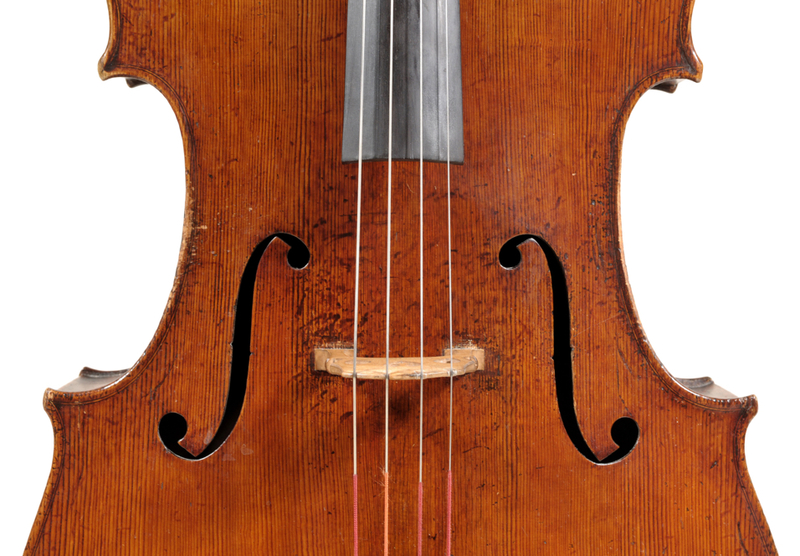 Sometime in the mid-19th century John Lott got hold of the original cello, made a copy and switched the tops, effectively fabricating two Stradivari cellos out of one. With their reduced widths and especially their narrow waists, the ‘forma B piccola’ cellos have a rather delicate look next to the squarish, more masculine appearance of the shorter model cellos like the ‘Bein, Fruh’ (see part 1). This is particularly evident on the ‘Scholz, Goltermann’ table, which has retained its original outline. The ‘Vaslin Composite’, however, has been enlarged by a strip of wood added to the middle and around the ribs. 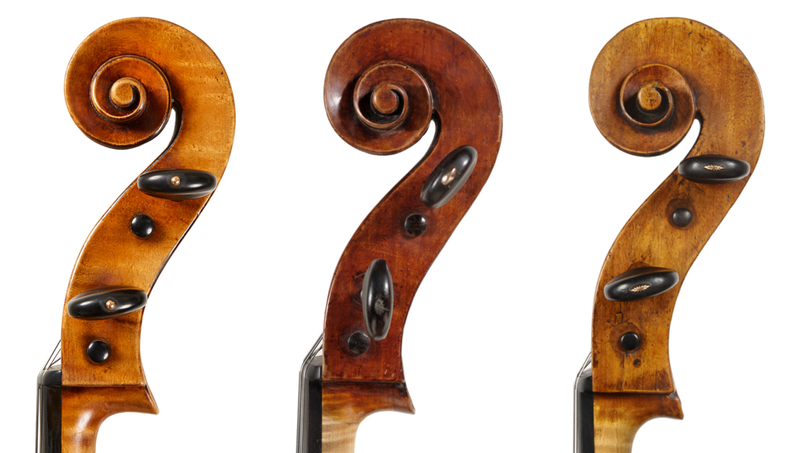 Many of these late-period cellos have had their original dimensions altered, usually enlarging them to conform more closely with the ‘forma B model’. The varnish on the ‘Vaslin Composite’, a rich reddish-brown over a golden ground, and the low, broad arch with a touch of recurve, both recall the ‘Bein, Fruh’, as does the choice of wood: slab-cut poplar or willow for the back, plainer ribs and a fruit wood for the scroll. This type of wood for the back was plentiful around Cremona and less expensive than the fancy imported maple that the Stradivari workshop frequently used on earlier examples. Perhaps this economical choice for many of the post-1725 cellos (which is also evident on some of the later violins) was the result of less auspicious orders. Interestingly Guarneri ‘del Gesù’, who was the most productive Cremonese maker of violins in the 1730s, consistently used first-rate wood. Like the choice of wood, the purfling also points to a later production, with the rather haphazard purfling joints betraying a less steady hand and the mitres pointing mostly towards the center of the corners. On earlier examples such as the 1700 ‘Cristiani’ and 1717 ‘Amaryllis Fleming’ the more cleanly executed purfling joints are deflected across the corners. The design and shape of the scroll on the ‘Vaslin Composite’ is consistent with the scrolls on the ‘forma B piccola’ cellos and similar to the earlier ‘forma B’ type scrolls, with a broad, strong chamfer that is picked out in black and a well-cut spiral. In contrast, the Bergonzi-style scroll on the ‘Bein, Fruh’ has a lighter chamfer and slightly smaller eye. 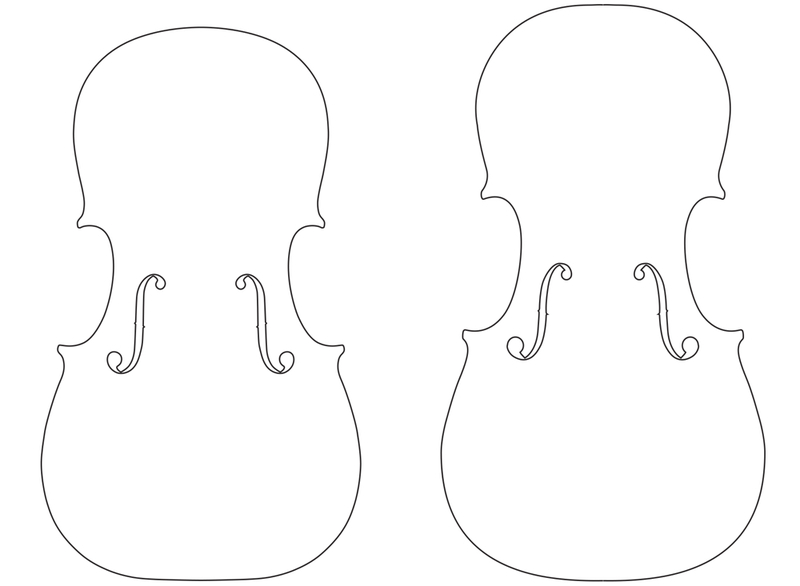 Even though the shorter model and ‘forma B piccola’ cellos have not enjoyed the same reputation as the ‘forma B’, they have nonetheless inspired future violin makers. 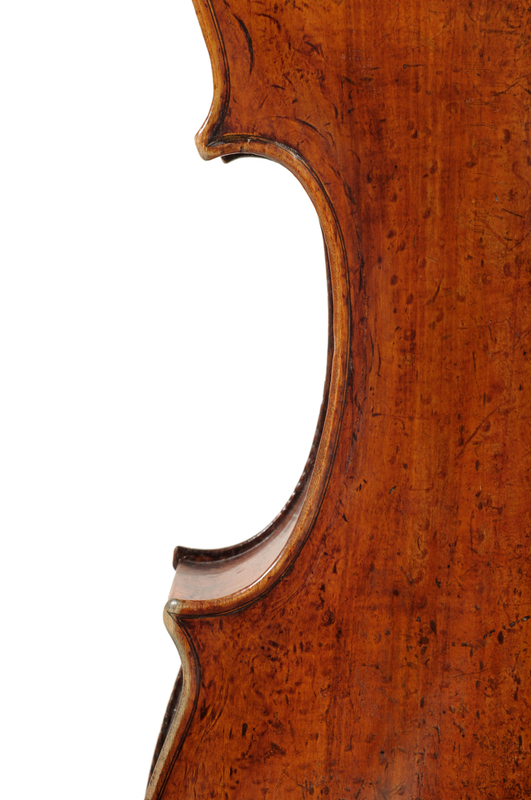 Carlo Bergonzi and his son Michael Angelo (see the ‘Claus Adam’ of 1743) each made a cello along the lines of the ‘forma B piccola’ model while G.B. 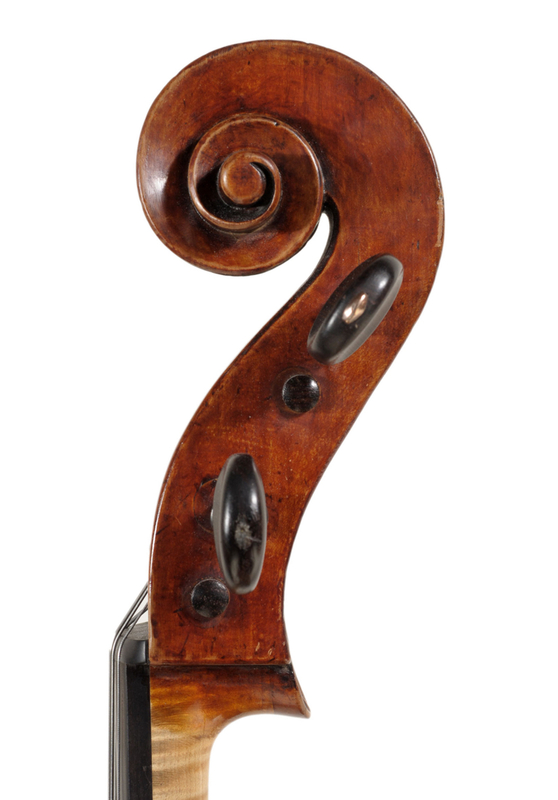 Ceruti (see instrument dated c. 1810) used a form that with its box-like appearance and choice of wood recalls the ‘Bein, Fruh’ and other shorter-model cellos. In the early 20th century Simone Fernando Sacconi made a copy of the ‘Pawle, Ben Venuto’. The Sacconi cello is particularly interesting as it appears to be a bench copy that captures many details of the original. Sacconi started working for Emil Hermann in 1931 and probably had direct access to the ‘Pawle’ when Hermann handled the instrument in the 1930s. That subsequent generations of violin makers have been inspired by these cellos is a testament to their enduring effectiveness and popularity among players. Bruce Carlson, I violoncelli di Antonio Stradivari, Consorzio Liutai Antonio Stradivari Cremona, 2004. Ernest Doring, How Many Strads?, reprint by Bein & Fushi, 1999. Ernest Doring, How Many Strads?, Op. Cit. Jost Thöne and Jan Röhrmann (eds), Antonio Stradivari, Jost Thöne Verlag, 2010. W.H., A.F. and A.E. Hill, Antonio Stradivari. His Life and Work (1644–1737), W.E. Hill & Sons, 1902. Carlo Chiesa and Duane Rosengard, The Stradivari Legacy, Peter Biddulph, 1998.